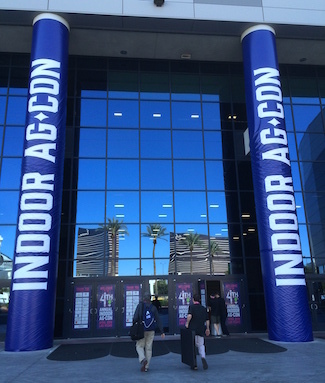 The two-day event will be held at the Las Vegas Convention Center, and is tailored toward corporate executives from the technology, investment, vertical farming, greenhouse growing, and food and beverage industries, along with hydroponic, aquaponic and aeroponic startups and urban farmers. It is unique in being crop-agnostic, covering crops from leafy greens and mushrooms to alternate proteins and legal cannabis. Participants will receive an exclusive hard copy of the newest edition in a popular white paper series, which is sponsored by Urban Crops and will focus on the US industry’s development. The event will consist of keynotes from industry leaders and extended networking breaks, along with a 50+ booth exhibition hall. This already includes industry majors such as Certhon, Dosatron, DRAMM, Hort Americas, Philips Lighting, Priva, and Transcend Lighting. A new addition for 2017 is “lunch and learn” sessions covering practical topics such as health and safety. Confirmed speakers include executives from Argus Controls, Autogrow, Bright Agrotech, CropKing, Fresh Box Farms, Grobo, Intravision, Plenty, Priva, Shenandoah Farms and Village Farms among many others. “We’re expecting that the big themes for this year will be farm economics and the commercialization of newer technologies such as machine learning, and are excited to have gathered experts from across the world to speak. The entrepreneurs in our funding session have raised more than $50mn for their indoor farms in the past year alone, and one speaker is operating a 100k ft2 commercial controlled environment farm” commented Nicola Kerslake, founder of Newbean Capital, the event’s host. Agriculture technology companies, suppliers and automation companies will have the chance to meet and mingle with leading vertical farmers and commercial greenhouse operators at a drinks party on the first evening of the event. Event sponsors include Autogrow, Urban Crops, Kennett Township, Freight Farms, Grodan, Joe Produce, Crop One Holdings and Grobo. Beginning farmers, chefs and entrepreneurs can apply for passes to the event through the Nextbean program, which awards a limited number of complimentary passes to those who have been industry participants for less than two years. Applications are open through March 31, 2017 at Indoor Ag-Con’s website. The program is supported by Newbean Capital, the host of Indoor Ag-Con, and by Kennett Township, a leading indoor agriculture hub that produces half of the US’s mushrooms. Indoor Ag-Con has also hosted events in Singapore, SG and New York, NY in the past year, and will host its first event in Dubai – in partnership with greenhouse major Pegasus Agriculture – in November 2017. Since it was founded in 2013, Indoor Ag-Con has captured an international audience and attracted some of the top names in the business. Events have welcomed nearly 2,000 participants from more than 20 countries. Newbean Capital, the host of the conference, is a registered investment advisor; some of its clients or potential clients may participate in the conference. The Company is ably assisted in the event’s production by Rachelle Razon, Sarah Smith and Michael Nelson of Origin Event Planning, and by Michele Premone of Brede Allied.